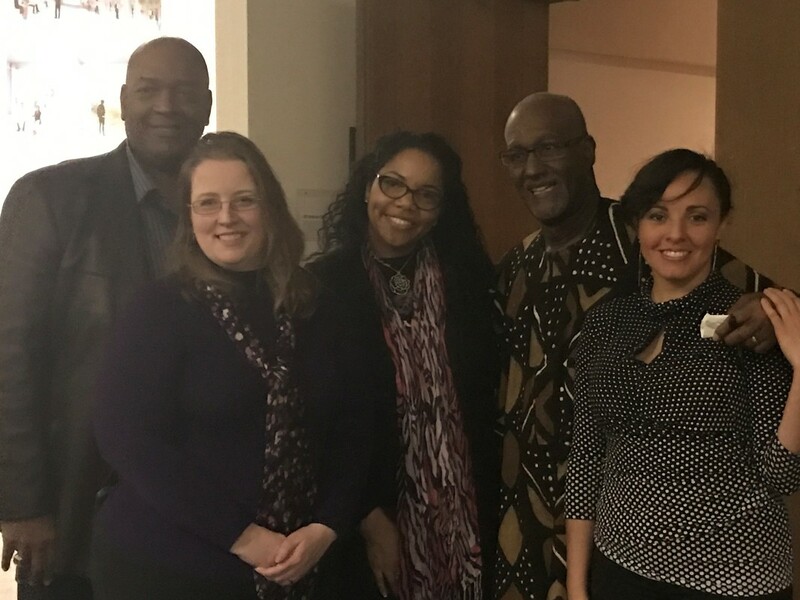 On Saturday March 5, 2017 Helen Butler conducted a second talk about Robert S. Abbott and the Great Migration at the Baha'i Temple and connected the journey to the Four Valleys. Approximately 50 participants enjoyed Mrs. Butler's artist and interactive presentation. 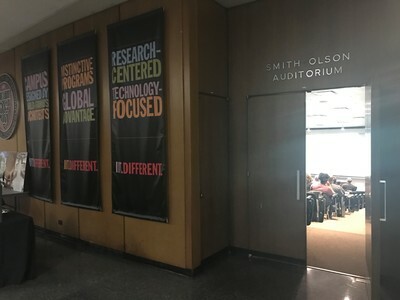 These events were a collaborative partnership between IIT, The Baha'i House of Worship, and the Chicago Baha'i Community as a result accompanying efforts derived from Be the Healing community initiative. 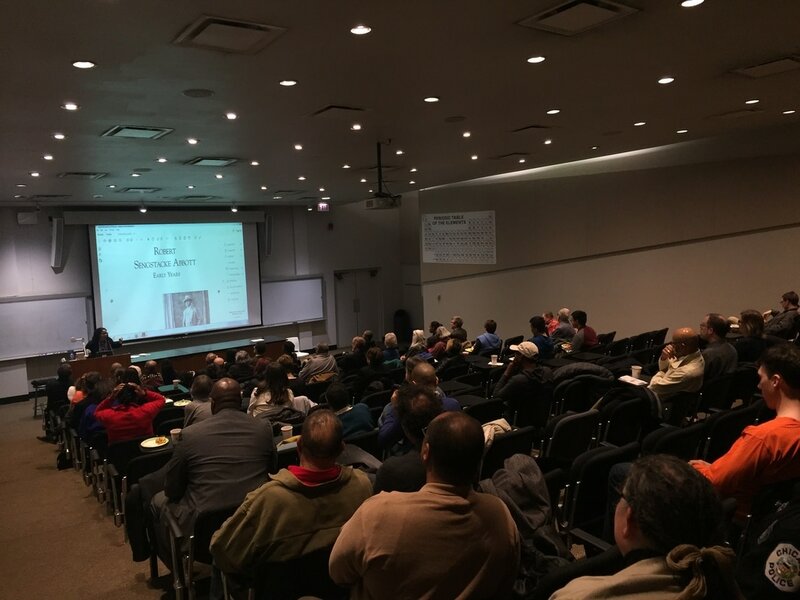 On Monday, February 27, 2017 at 7pm approximately 65 people celebrated the legacy of Robert S. Abbott, founder of the Chicago Defender at Perlstien Hall at Illinois Institute of Technology. In 1905 Mr. Abbott created The Chicago Defender not only to encourage people to migrate north for a better life, but to fight for their rights once they got there. 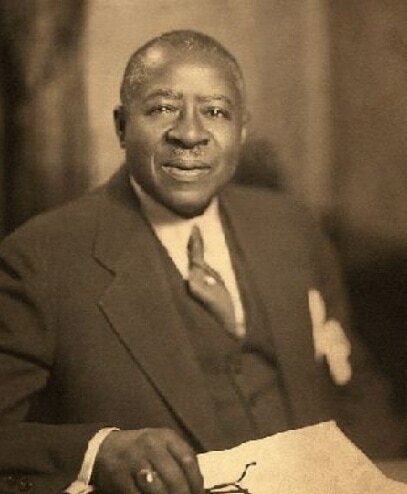 The slogan of the paper and the first goal was “American race prejudice must be destroyed.” Learn about his life, inspiration, and how the legacy continues. The audience heard stories from his great-grandniece and President of the Chicago Defender Charities, Myiti Sengstacke-Rice, about the timeline of his struggles and successes of bringing job opportunities and justice to the Black community during the early 1900s. 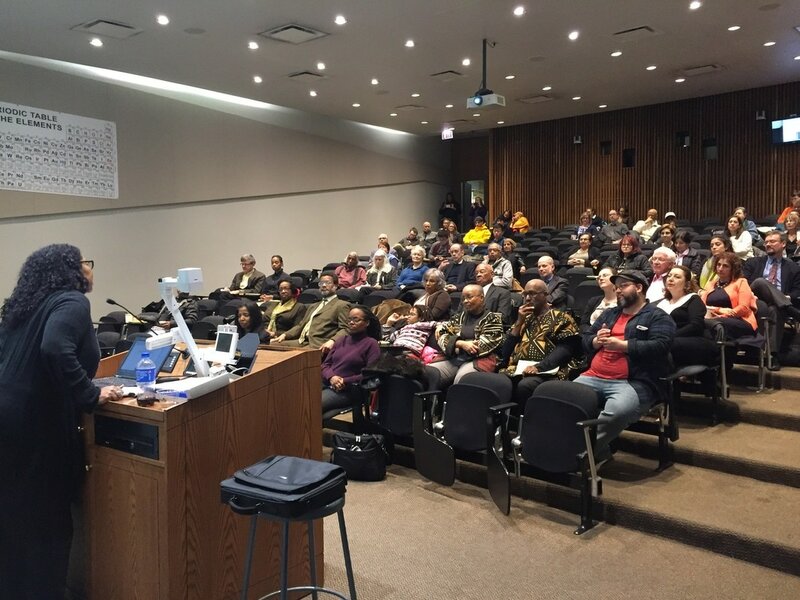 Ron Browne; retired teacher, former curriculum coach from the Chicago Public Schools, and member of the Chicago Bahá’í Community, talked about Mr. Abbott’s connection to the Baha'i Faith and how it inspired him to stay hopeful and triumphant. Lastly, Andre Garner talked about his non-profit, The Great Migration Experience (GME), which is collecting stories to celebrate the Centennial anniversary of the Great Migration to keep the journey relevant for the generation of today. Audience members included three honorees of the Men of Excellence Award given by the Chicago Defender, members of the Sengstacke family, nine participants from Bridging the Divide: Be the Healing, and surrounding suburbs as far as Highland Park and Wadsworth. On Saturday, February 4, 2017 Bronzeville schools joined other CPS schools to celebrate Deeply Rooted Dance Theatre 20th year anniversary celebration, Aspects of Love. 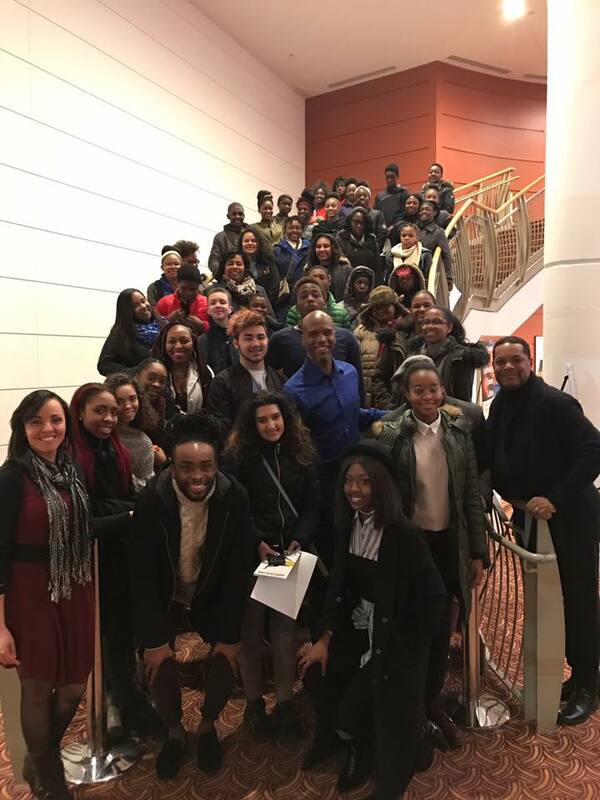 From a generous donation from The AIDS Healthcare Foundation, Black Leadership AIDS Crises Coalition Youth Committee, Dyett High School and Woodson North were able to attend. Rooted in African-American traditions of storytelling and universal themes in contemporary modern dance, Chicago’s Deeply Rooted Dance Theater performs world class dance that entertains, inspires, and builds community. 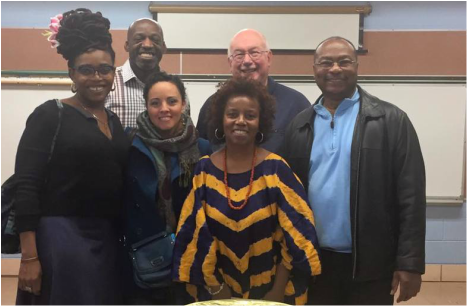 ​On November 5, Pastor Neal held a gathering at Glorious Light Church for a book discussion on Post Traumatic Slave Syndrome and how trauma is affecting individuals on a personal level. Session was led by a clinical psychologist and participants came from Evanston and south side of Chicago. 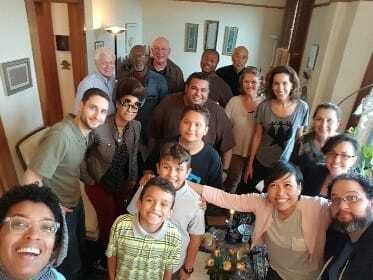 ​On October 16, the Chicago Bahá’í Community of Practice reflected with Bahá’ís that attended the training and talk at the House of Worship to hear about each other’s learning and talk about their individual experience or pain with race in this country. One participant carried his binder and referred to the page on Philosophical Aspects of Difference and said, “this brings such clarity to why I struggled to fit in when I was younger and why people behave the way they day at work, this explains so much to me, I wish I knew this as a kid”. On October 4, 2016 Health for Humanity conducted a daylong conference, Bridging the Divide: Be the Healing, with Dr. Joy DeGruy to address the mental health crises from violence prevention to post trauma care. The audience was comprised of 160 influential leaders from a cross -sector of the community. HH collaborated with Bright Star Community Outreach, the Chicago Police Department, and the Illinois Institute of Technology. Additional supporters include UCAN, Engage Civil Incorporated, Chicago Baha’i Community, and Bronzeville Community Action Council. 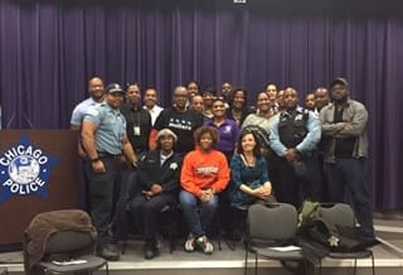 This initiative reached the necessary audience to seed a movement that puts structures in place to promote unity, equity, and equality in communities most impacted by crime and violence in Chicago. Follow up activities have been initiated by participants of the training to debrief on lessons learned, these activities captured a third of the participants. Communication continued with biweekly updates and opportunities through email to the attendees.